Learn more about this exciting new product 440.632.5800! 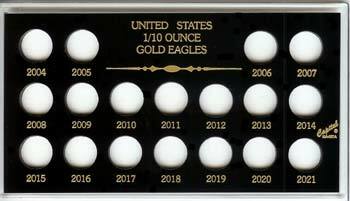 We manufacturer hard plastic coin holders for the protection of coins, currency, medals, medallions, tokens, gaming chips, discs, pictures and documents. 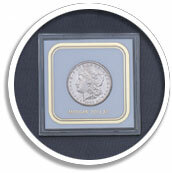 We stock holders for all denominations of U.S. coins, currency and some foreign coins. 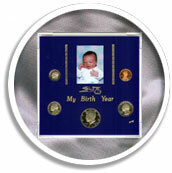 Capital coin and currency holders are available through your authorized distributor or local coin shop. Please refer to our listing of distributors. Please contact Capital Plastics directly when your area authorized distributor is unable to service your needs or click here for our NEW online catalog. 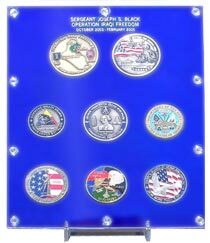 We do NOT sell coins, medals; currency or cards and they are NOT included in the price of our products. All of the information, suggestions, and recommendations pertaining to the properties and uses of the product described herein are based upon tests and data believed to be accurate, however, the final determination regarding the suitability of any material described herein for the use contemplated, the manner such, and whether the use infringes any patents is the sole responsibility of the user. THERE IS NO WARRANTY, EXPRESSED OR IMPLIED, INCLUDING, WITHOUT LIMITATION WARRANTY OF MERCHANTABILITY OR FITNESS FOR A PARTICULAR PURPOSE. Under no circumstances shall we be liable for incidental or consequential loss or damage.